MCWW practices a stewardship of technology to form relationships so that connected individuals can be bold in faith, be strong together and continue claiming Christ’s mission as their mission wherever they reside. However, it took some practice to get to that point. MCWW began in 2009 after some college students returned from a mission trip to Nicaragua. 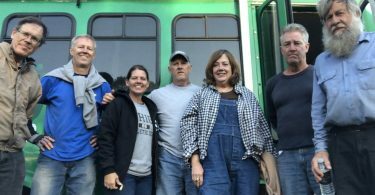 They were hoping to stay connected to their faith and each other, even as their time away at school meant they were often separated from their home-church families. After some fits and starts experimenting with technology, things took root when Dan Miller and Justin Rabbach began hosting weekly “hangouts” online. 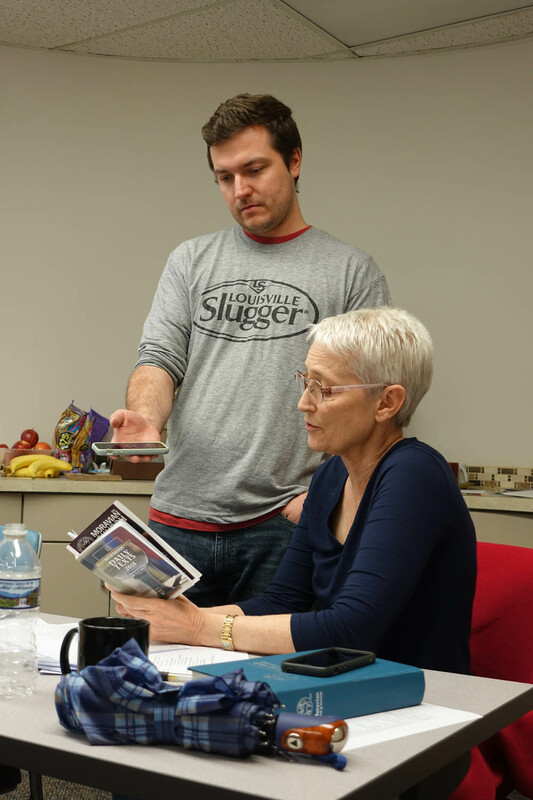 For more than a year, these gatherings were opportunities for people across several time zones to join together in Bible studies, books studies, prayer meetings, and sometimes just fun and games. As varying schedules prevented these groups from meeting online regularly, other ideas emerged. Most recently came the idea to offer a new way to experience the long-standing tradition of the Moravian Daily Texts. The idea was to provide opportunities for many people to share their own reflections on the Daily Texts with others, much like many Moravians who have gone before us did. The struggle was finding a way to do this easily and regularly. Enter the idea of a podcast! Now, MCWW would like to have you believe that the MCWW Daily Text Podcast Series was the result of strategic planning and careful development. However, this could not be farther from the truth. The idea of the podcast was born on February 28, 2018 when Justin was updating some applications on his phone and saw an advertisement for a podcasting application. Out of curiosity, Dan and Justin decided to test it out and on March 1, 2018, the first episode entitled “Happy Birthday to the Moravian Church” was published. Seeing how easy it was to record a single episode, they decided to continue recording with the Moravian Daily Text as the primary focus. Now, the MCWW Daily Text Podcast Series has more than 100 daily listeners, more than 200 published episodes, and over 20,000 total listens. Each podcast episode is short, simple, and to the point. Each day, a new episode comes out, which contains a short introduction, a reading of the Bible verses, a short reflection (60 seconds), and the assigned prayer. 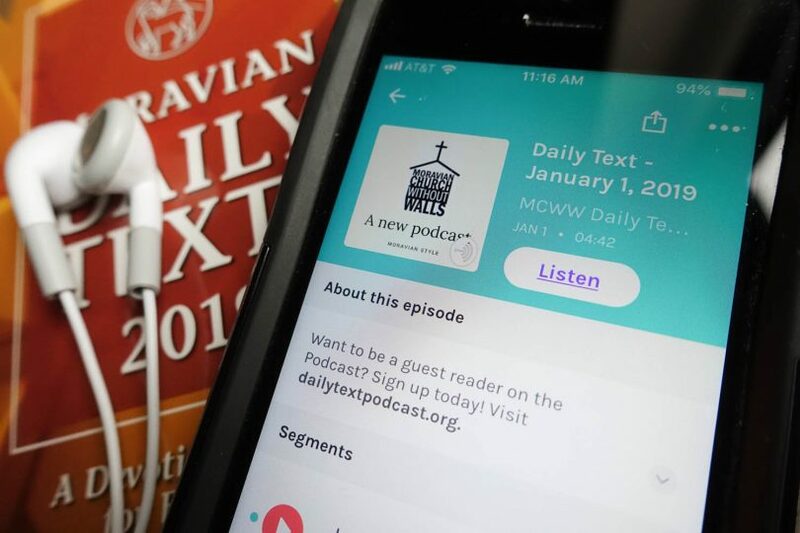 If you would like to begin listening to the podcast, the MCWW Daily Text Podcast Series can be found nearly anywhere you can listen to podcasts, or at dailytextpodcast.org. Not only does MCWW hope that you will subscribe and listen to the podcast, but they also hope you will consider lending your voice to the podcast as a guest reader. 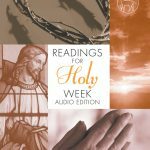 You can appear on a podcast episode to read and reflect on the Daily Texts for all to hear! It’s very similar to leaving a voicemail – all you need is a smartphone and a copy of the Moravian Daily Texts. At dailytextpodcast.org, there are instructions and guidelines on how to sign up to appear on a podcast episode, what to record, and how to submit your recordings. MCWW takes your recordings and creates each episode, so once you submit your recordings, all you have to do is listen to yourself on the podcast sharing God’s word in your words. Over 50 guest readers have appeared on the podcast already. 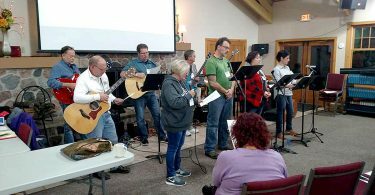 Most are regular listeners to the podcast, but some have been from special groups like the Board of World Mission, the (Northern) Provincial Women’s Board, and the Moravian Unity Youth Heritage Tour. If you might be nervous about being a guest reader, don’t be! The Daily Texts is meant to be a resource shared and discussed in community. It is not something delegated to a few, but offered to all, and what you have to say may be exactly what someone else hopes to hear! To learn more about this and other MCWW ideas, projects and ministries, visit www.moraviancww.org, dailytextpodcast.org, or the Moravian Church Without Walls Facebook page. Justin Rabbach, now executive director of the Board of World Mission and Dan Miller, now pastor of Edgeboro Moravian Church in Bethlehem, Pa., created Moravian Church Without Walls and the Daily Texts Podcast. Watch the Moravian for more new ways to experience the Moravian Daily Texts.